Please note: due to the confidential nature of much of my client service work, only a small sampling can be provided here. Contact me directly for more information on my work and role at Deloitte. In this project, we created operational dashboards that made a huge impact, enabling a major retailer with over 10,000 location to quickly identify instances of product loss—a task which had previously taken days or even weeks. 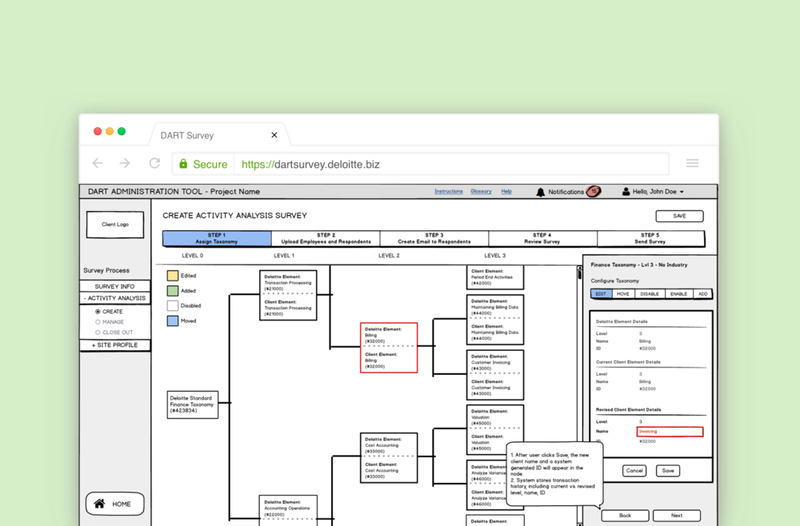 We created a detailed UX concept for automating the tedious process of create and administering surveys to measure employee productivity. After 6 weeks of design, our project's funding was cut teaching myself and the whole team some valuable lessons lessons. In early 2017, I designed a prototype concept of a dashboard that enables users at industrial facilities and to monitor and manage their water usage. This prototype was used in a pitch for the ultimate design and development of the tool, showcasing the power of prototyping in client service sales. During my senior year at Tufts I worked with Tufts Medical Center in their effort to create an online user interface for pediatricians and parents to interact with data from their developmental screening tool known as the SWYC. As part of a group project for a user interface design class, we were assigned to design and prototype an iPad application to enhance the experience of spectating the Boston Marathon. 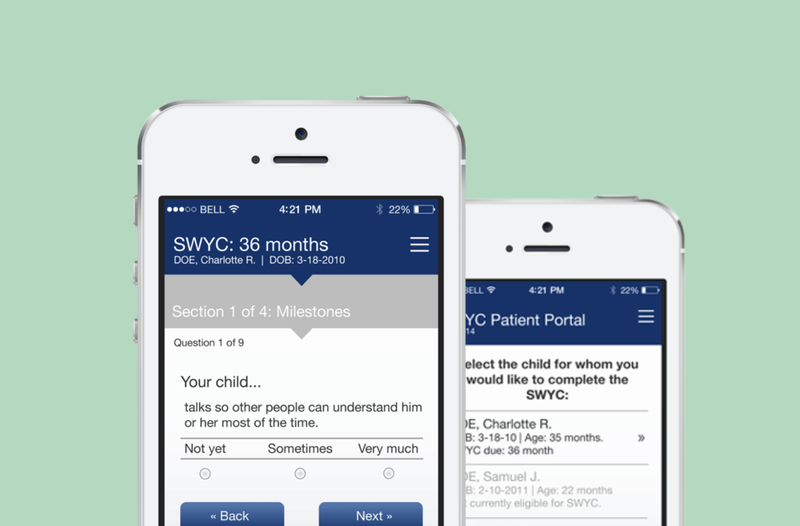 In addition to making a pediatrician-facing interface for the SWYC, I conducted user research with parents to make a prototype of a mobile application that parents could use to fill out screeners for their children prior to their appointments. During the fall of 2014, I joined a freelance project managed and developed by a friend and software developer, Gabriel. 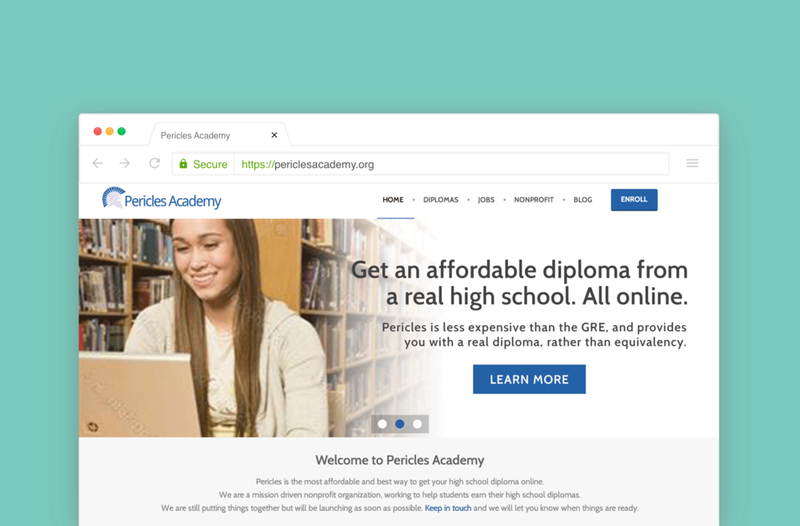 We worked together to ultimately launch the first iteration of a new educational platform called Pericles Academy, which seeks to help high school dropouts to earn their high school diplomas. In the fall of 2014, I was hired to redesign a website for a local commercial electrical system designer and contractor. Working closely with the client, I created the site's workflow, wrote and edited copy, selected photos, and designed and published the website using Squarespace. Jan Stevens (my mom!) makes fine, custom braided wool rugs out of her home in New Hampshire. Since my parents' home is already layered in her handmade rugs, I created this website for her as a gift so she could find opportunities to extend her services to others. For the past seven years on and off, I have worked at a small Italian restaurant in my home town as a busser and then as a server. In the Fall of 2014, I joined Three Tomatoes in a different capacity: website designer and brand consultant. Working with my software engineering friend Gabriel, we set out to bring to life a new brand image for Three Tomatoes. As an intern at GYK Antler, one project I really took the reins on was a small, two-page mobile and desktop website design for a giveaway contest that took place in the summer of 2014. For this simple project, I used a mobile-first approach to make mobile and desktop wireframes for the contest. When the wireframes were approved by the client, I began the visual design effort using some assets provided by the client.